#2 PAX 3 dry herb vaporizer. Pro 7 V’s Pax. What is the best method to vaporize dry herb? What is the best vaporizing temperature for herb? If you vape more than one medium, CBD oil, e juice, wax, herb or tobacco there is nothing else like the Pro Series 7, it is simply the best dry herb weed vaporizer out there. For the enthusiast buy the Prohibited version of the Pro 7 – tweaked for herb and wax concentrates. V2 have introduced the Pro Series 7 vaporizer which is the Swiss Army knife of vaping. The Pro 7 is a dry herb vaporizer but that is not all it does! Using interchangeable magnetic cartridges that synchronise with the vaporizers CPU you can now have one device that you can use for dry herb, tobacco, e liquid and wax. But how does it compare to the Pax which is recognised as one of the best dry herb vaporizers? Now its big brother, the V2 Pro Series 7 dry herb vaporizer has come out to play and can be ordered here in the UK. The new benchmark for dry herb APV’s (Advanced Personal Vaporizers) for both casual and medical cannabis users. The main difference to the Series 3 vaporizer is that the Series 7 APV is larger – 3X larger capacity. 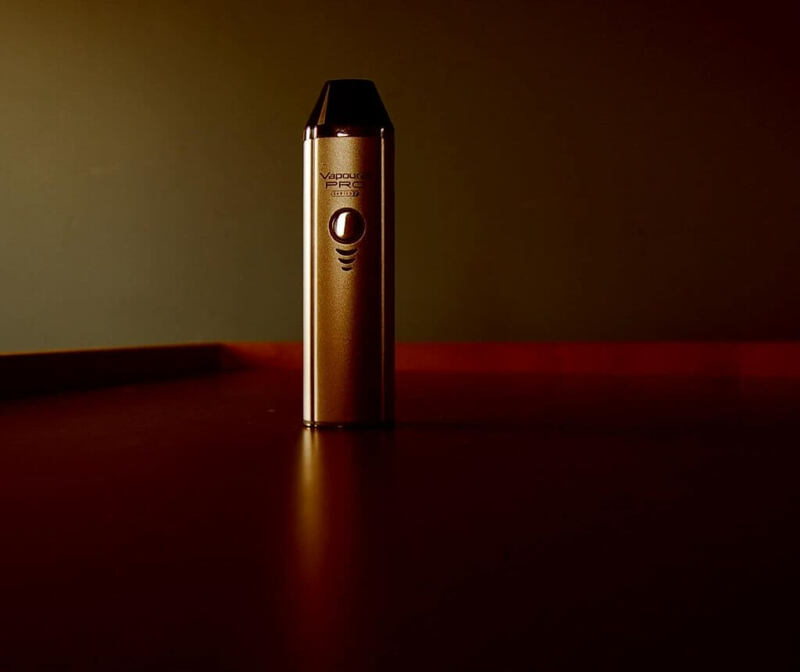 The Pro 7 also has variable voltage (VV vaporizer). This all translates to more, more of everything! Not one for beginners or regular smokers switching to e cigarettes but with its larger oven for dry herb and tobacco loose leaf (1300 mm3) and significantly more powerful battery, it is a Heat not Burn class beater for those who demand the best of the best in tobacco and medical herb vaping. Offering 3-in-1 vaping like little brother you will now be able to vape tobacco and enjoy dry herb/loose leaf, wax and e-liquid – at your required temperature… and for longer, much longer! This type of bespoke larger scale APV device is normally in the £200-£300+ range for the top range vapes, the Pro 7 personal vaporizer with its new technology is a world beater and is priced at under £120 mark. The Pro S 7 vaporizer is capable of outperforming portable vaporizers that are double the price. Whereas the V2 Pro S3 was the e-Liquid Revolution – that did dry herb, the V2 Pro Series 7 is the Loose Leaf vaporizer of choice – that also vapes e-Liquid just as well! Vaping veterans only. 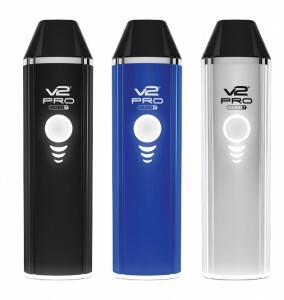 The V2 Pro Series 3 vaporizer still holds its place as the best vape pen vaporizer, it is small, neat discrete and very easy to use and relatively inexpensive. It is the only small scale vape pen in my opinion that you can properly vaporize herb and loose leaf effectively – despite a number of other brands making such claims. Its size, ease of use and price is what makes it great. The Series 7 is more niche, larger and more aimed at the serious dry herb market and for those who want the ability to fine-tune the temperature settings – perhaps more serious dry herb/loose leaf and tobacco vapers who like e-liquid too rather than the casual herb vaper! However the Pro 7 also comes in a more focused edition under the brand Prohibited. The UK’s Prohibited vape kits are dedicated herb and wax concentrate kits, tweaked for herb and wax and do not offer the e liquid option. For herb enthusiasts the “in the 5th Degree” herb vaporizer from Prohibited is the model to get, it is widely accepted as one of the best herb vaporizers out there by most knowledgeable herb vaporizer reviews including Forbes and High Times. For medical marijuana users there is no better herb vaporizer. There are 3 voltage settings and a “smart” setting. Customise your experience with variable temperature and voltage control alternatively allow the the smart technology of the Series 7 to warm your chosen cartridge automatically – its on-board chip detects the medium being vaped and sets the optimum temperature accordingly – with one of the fastest warm-up times for tobacco loose leaf/dry herb of any heat not burn vaporizer. The message here is simplicity, you don’t have to dial in voltage, wattage and you don’t have to work out optimums for sub-ohm vaping, the S7 herb vaporizer thinks for itself and does it all for you…. automatically. With something like the older PAX vaporizer (4-5 cycles/charge) at around £130, there were the issues of scorching and also resin clogging up the vapour track and it is not easy to unclog. The PAX 3 (8-10 cycles/charge) came out to help sort these issues but at around RRP £220 and being limited to dry herb/loose leaf only. With its “concentrate insert” at additional cost the Pax 3 can also be used with concentrates/oils and waxes but not e liquid! With no pass through feature you are limited to the battery life. Maximum temperature is 210 Celsius. The Pro 7 vaporizers (9-11 cycles/charge with loose leaf) 3-in-1 capability trumps the PAX offerings on price, (it is half the price!! at under £120), weight and versatility. 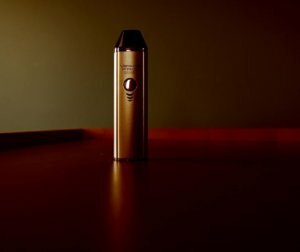 With its pass-through vaping ability you can also use the S7 without relying on the battery so many more cycles can be achieved. Maximum temperature is also higher at 235 Celsius. Not to mention that you don’t need to pay out for another vaporizer to vape e-liquid so further savings are made here. Both the PAX and Pro 7 are excellent vaporizers, leaders of the pack but the Pro S7 does more for less! Like many vapers I use my e-cigarette to reduce the number of cigarettes I smoke. Over the last year or so I have cut down from 20+ per day to less than 5 per day. The recent ASH Report shows that many vapers use e cigarettes in this way. For example I feel I must have my first cup of coffee in the morning with a nasty cigarette – please don’t ask me why. This is where I feel the Series 7 can offer significant help. Over the first few weeks of using this vaporizer – I used the Pro S7 as my first cigarette of the day instead of my normal nasty cigarette. 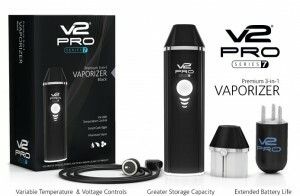 I used the V2 Pro 7 to vape tobacco! I packed the dry herb cart with about a third of a cigarette worth of tobacco. (btw. Not necessary but I also drip 2-3 drops of 0% e-liquid onto the tobacco simply to raise the vapour output – vaporizing produces less “smoke” than burning/smoking does). I then vaped (the tobacco) and had my coffee! This really did the trick. I was left not wanting a cigarette. I then lit up a cigarette directly after vaping, not because I wanted one or even felt the need to have one, the S7 sorted my nicotine craving but because I wanted to see what it feels like relative to the vaping experience. Smoking feels very harsh, severe/acidic/bitter in direct comparison – you can almost feel the chemicals. With the Pro Series 7 vaping tobacco is far smoother and a cleaner tobacco experience – the overall taste and feel is mellow. I believe this superior substitute is what will ultimately lead me to quit smoking…totally! I pointed out above that vaping is a lot less severe or harsh and no doubt will also have a similar experience, it will be a far less harsh experience than smoking herb. Reading the many on-line reviews shows that the S7 vaporizer is very effective at delivery! (For a more practical guidelines on best practice for vaping herb see the sections below). Vaporizing herb using the Pro 7 will give a purer cleaner experience. In addition vaporizing herb is more efficient than burning so not only is it more effective – it will require less herb to do the same job so it saves money too! With a large 1300 mm3 oven and less than 30 second heat-up this device will suit the most avid users. When vaping, ie vaporizing herb there will not be significant vapour clouds, the vapour given off from the active ingredients is colourless. The smoke you see when you “smoke” herb is the smoke from burning (= combustion) the product. This burning creates smoke and all the chemicals associated with smoke and also liberates the active ingredients too. Combustion does not occur during vaporization which is why vaping is considered so much safer. You want the active ingredients of the herb, not the smoke element that, like smoking tobacco, is the most dangerous to our health. If I can put it another way – if when I first smoked my first cigarette – I was forced into choosing between either smoking cigarettes or vaping with the Series 7 and I had to do one or the other – there is no doubt which I would choose – and I say this even if the health risks and cost of smoking tobacco were the same as vaping. As an overall experience then, Vaping with the S7 is far more pleasurable than smoking. It is not a substitute – it is a better, cleaner, more advanced heat not burn delivery system! Having said that, of course not smoking or vaping at all is the most pleasurable outcome in reality! Make sure you clean your carts properly, this will help extend their lifetime. The above section reviews the essentials of our favourite dry herb vaporizer and shows that it is a bit of a Swiss army knife. One vape device for you e liquid, dry herb wax or tobacco which is very convenient, it also saves you buying more than one vape device. As suggested above, for dedicated herb or wax concentrate vaping, the Prohibited” in The 5th Degree” tweaked version of the Pro 7 is the one to go for. For more versatility including vaping e liquid buy the Pro 7 version. A number of questions have been asked since doing this review regarding how to best use this vaporizer for loose leaf or dry herb so I wanted to clarify some points raised. When first using the V2 Pro Series 7 you need to be aware of a number of things in order to get the best from your device. It takes a little practice if you have not used a dry herb vaporizer before. So here are my top tips to guide you to getting it right. All dry herb products have varying characteristics including the amount of moisture content. When you use a vaporizer to vape dry herb/loose leaf it generally will not result in significant amounts of vapour – the more that is visible when you breath out the less you are absorbing and the more waste there is! Establish the optimum temperature for your particular dry herb. See # 5 below. Be patient – if there are not huge vapour clouds it does not mean you are not experiencing the active ingredients. Most active ingredients give off a colourless gas when vaporized so will not be visible. Inhale, hold, repeat through the cycle and see!! 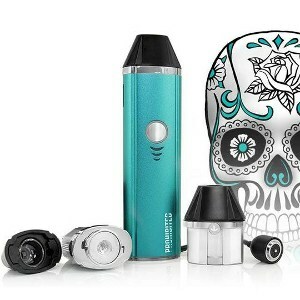 Start at the lowest temperature and vape for one cycle -after that mix the dry herb with the metal pick from the S7 kit. Then set to the next temperature and use again for another cycle – then if needed repeat for the highest temperature. At some temperature setting your product will work best for you and by using the above method you will determine which setting to use. Do not overfill the herb chamber – as a rule of thumb guide, fill it to half way. You will get much better results than trying to overfill. Be warned! Ensure the material is properly ground down using a quality herb grinder. See the best dry herb grinders here, lower down the Pro 3 review page. Note: e liquid is deliberately formulated to give off vapour so vaping appears/feels as close to smoking as possible, this also makes the transition from cigarattes to vaping easier – there are some e liquids designed not to give off vapour and these e liquids still deliver the desired nicotine hit ie. vapour does not equal active ingredients. The temperature of the heating element is NOT the same as the vaporization temperature in the heat chamber where the herb sits. Therefore it does not follow that there is too much heat at the highest Pro 7 setting for dry herb (ie. the 225°C setting which is the core temperature). There may be a 5-20 degree difference between heating element and dry herb chamber. There is much on-line about optimum temperature settings for dry herbs etc. Merck testing suggested 200°C and there are other suggestions. But by using the steps outlined at #1 to #7 above you will find your optimum temperature pretty quickly and help make the Pro 7 your best dry herb vaporizer of choice! The Pro 7 has a 6 month warranty, this reflects the confidence the manufacturer has in the product – if it only lasts 6 months the saving you have made will easily afford a new Pro 7. Most other vape pens have standard 30 day warranties. All Vapour2 /V2 devices would be replaced under the companies no quibble guarantee should the products be defective. The company has an excellent help desk and customer service record. If vaping cannabis is on the rise, does cannabis affect pulmonary function?